Game between the Toronto Raptors and the New Orleans Pelicans played on Fri July 6th 2018. The Pelicans beat the Raptors 90 to 77. 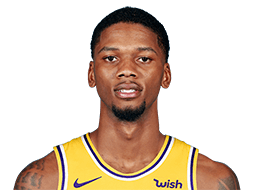 Alfonzo McKinnie led the scoring with 12 points, Codi Miller McIntyre led in assists with 5 assists, and OG Anunoby led by grabbing 7 rebounds. Game between the Minnesota Timberwolves and the Toronto Raptors played on Sun July 8th 2018. The Timberwolves beat the Raptors 103 to 92. Jordan Loyd led the scoring with 17 points, Codi Miller McIntyre led in assists with 4 assists, and OG Anunoby led by grabbing 7 rebounds. Game between the Toronto Raptors and the Oklahoma City Thunder played on Mon July 9th 2018. The Thunder beat the Raptors 92 to 82. OG Anunoby led the scoring with 19 points, Codi Miller McIntyre led in assists with 8 assists, and Shevon Thompson led by grabbing 7 rebounds. Game between the Toronto Raptors and the Denver Nuggets played on Wed July 11th 2018. The Raptors beat the Nuggets 85 to 77. 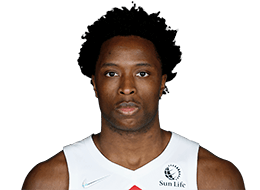 OG Anunoby led the scoring with 22 points, Codi Miller McIntyre led in assists with 11 assists, and Shevon Thompson led by grabbing 8 rebounds. Game between the Toronto Raptors and the Charlotte Hornets played on Sat July 14th 2018. The Raptors beat the Hornets 87 to 84. 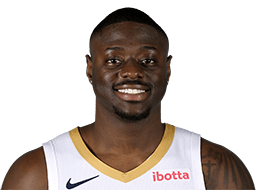 Rawle Alkins led the scoring with 25 points, Codi Miller McIntyre led in assists with 5 assists, and Rawle Alkins led by grabbing 11 rebounds. Game between the Toronto Raptors and the Cleveland Cavaliers played on Sun July 15th 2018. The Cavaliers beat the Raptors 82 to 68. 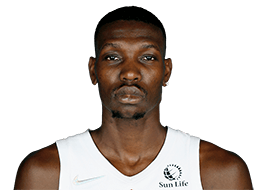 Chris Boucher led the scoring with 18 points, Marquis Teague led in assists with 5 assists, and Chris Boucher led by grabbing 8 rebounds. Game between the Portland Trail Blazers and the Toronto Raptors played on Sat September 29th 2018. The Raptors beat the Trail Blazers 122 to 104. Jonas Valanciunas led the scoring with 17 points, Kawhi Leonard led in assists with 3 assists, and Pascal Siakam led by grabbing 13 rebounds. Game between the Toronto Raptors and the Utah Jazz played on Tue October 2nd 2018. The Jazz beat the Raptors 105 to 90. 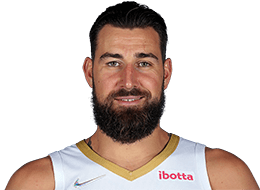 Jonas Valanciunas led the scoring with 18 points, Fred VanVleet led in assists with 3 assists, and Jonas Valanciunas led by grabbing 9 rebounds. Game between the Melbourne United and the Toronto Raptors played on Fri October 5th 2018. The Raptors beat the United 120 to 82. 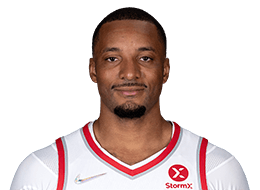 Norman Powell led the scoring with 21 points, Delon Wright led in assists with 5 assists, and Serge Ibaka led by grabbing 12 rebounds. Game between the Brooklyn Nets and the Toronto Raptors played on Wed October 10th 2018. The Raptors beat the Nets 118 to 91. Danny Green led the scoring with 22 points, Kawhi Leonard led in assists with 7 assists, and Kawhi Leonard led by grabbing 7 rebounds. Game between the Toronto Raptors and the New Orleans Pelicans played on Thu October 11th 2018. The Raptors beat the Pelicans 134 to 119. Pascal Siakam led the scoring with 21 points, Pascal Siakam led in assists with 6 assists, and Eric Moreland led by grabbing 12 rebounds. Game between the Cleveland Cavaliers and the Toronto Raptors played on Wed October 17th 2018. The Raptors beat the Cavaliers 116 to 104. Kyle Lowry led the scoring with 27 points, Kyle Lowry led in assists with 8 assists, and Kawhi Leonard led by grabbing 12 rebounds. Game between the Boston Celtics and the Toronto Raptors played on Fri October 19th 2018. The Raptors beat the Celtics 113 to 101. Kawhi Leonard led the scoring with 31 points, Fred VanVleet led in assists with 7 assists, and Kawhi Leonard led by grabbing 10 rebounds. Game between the Toronto Raptors and the Washington Wizards played on Sat October 20th 2018. The Raptors beat the Wizards 117 to 113. Kyle Lowry led the scoring with 28 points, Kyle Lowry led in assists with 12 assists, and Pascal Siakam led by grabbing 10 rebounds. Game between the Charlotte Hornets and the Toronto Raptors played on Mon October 22nd 2018. The Raptors beat the Hornets 127 to 106. Kawhi Leonard led the scoring with 22 points, Kyle Lowry led in assists with 14 assists, and Jonas Valanciunas led by grabbing 10 rebounds. Game between the Minnesota Timberwolves and the Toronto Raptors played on Wed October 24th 2018. The Raptors beat the Timberwolves 112 to 105. Kawhi Leonard led the scoring with 35 points, Kyle Lowry led in assists with 10 assists, and Jonas Valanciunas led by grabbing 9 rebounds. Game between the Dallas Mavericks and the Toronto Raptors played on Fri October 26th 2018. The Raptors beat the Mavericks 116 to 107. Kawhi Leonard led the scoring with 21 points, Kyle Lowry led in assists with 12 assists, and Kawhi Leonard led by grabbing 9 rebounds. Game between the Toronto Raptors and the Milwaukee Bucks played on Mon October 29th 2018. The Bucks beat the Raptors 124 to 109. Serge Ibaka led the scoring with 30 points, Kyle Lowry led in assists with 15 assists, and Serge Ibaka led by grabbing 9 rebounds. Game between the Philadelphia 76ers and the Toronto Raptors played on Tue October 30th 2018. The Raptors beat the 76ers 129 to 112. Kawhi Leonard led the scoring with 31 points, Kyle Lowry led in assists with 12 assists, and Pascal Siakam led by grabbing 15 rebounds. Game between the Toronto Raptors and the Phoenix Suns played on Fri November 2nd 2018. The Raptors beat the Suns 107 to 98. Kawhi Leonard led the scoring with 19 points, Kyle Lowry led in assists with 12 assists, and Jonas Valanciunas led by grabbing 7 rebounds. Game between the Toronto Raptors and the Los Angeles Lakers played on Sun November 4th 2018. The Raptors beat the Lakers 121 to 107. Serge Ibaka led the scoring with 34 points, Kyle Lowry led in assists with 15 assists, and Pascal Siakam led by grabbing 13 rebounds. Game between the Toronto Raptors and the Utah Jazz played on Mon November 5th 2018. The Raptors beat the Jazz 124 to 111. OG Anunoby led the scoring with 17 points, Kyle Lowry led in assists with 11 assists, and Pascal Siakam led by grabbing 7 rebounds. Game between the Toronto Raptors and the Sacramento Kings played on Wed November 7th 2018. The Raptors beat the Kings 114 to 105. Kawhi Leonard led the scoring with 25 points, Kyle Lowry led in assists with 8 assists, and Serge Ibaka led by grabbing 14 rebounds. Game between the New York Knicks and the Toronto Raptors played on Sat November 10th 2018. The Raptors beat the Knicks 128 to 112. Pascal Siakam led the scoring with 23 points, Kyle Lowry led in assists with 8 assists, and Jonas Valanciunas led by grabbing 10 rebounds. Game between the New Orleans Pelicans and the Toronto Raptors played on Mon November 12th 2018. The Pelicans beat the Raptors 126 to 110. Pascal Siakam led the scoring with 22 points, Kyle Lowry led in assists with 11 assists, and Serge Ibaka led by grabbing 14 rebounds. Game between the Detroit Pistons and the Toronto Raptors played on Wed November 14th 2018. The Pistons beat the Raptors 106 to 104. Kawhi Leonard led the scoring with 26 points, Kyle Lowry led in assists with 7 assists, and Kawhi Leonard led by grabbing 9 rebounds. Game between the Toronto Raptors and the Boston Celtics played on Fri November 16th 2018. The Celtics beat the Raptors 123 to 116. Kawhi Leonard led the scoring with 31 points, Kyle Lowry led in assists with 7 assists, and Kawhi Leonard led by grabbing 15 rebounds. Game between the Toronto Raptors and the Chicago Bulls played on Sat November 17th 2018. The Raptors beat the Bulls 122 to 83. 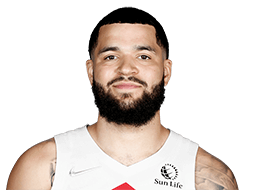 Fred VanVleet led the scoring with 18 points, Kyle Lowry led in assists with 8 assists, and Jonas Valanciunas led by grabbing 9 rebounds. Game between the Toronto Raptors and the Orlando Magic played on Tue November 20th 2018. The Raptors beat the Magic 93 to 91. Kawhi Leonard led the scoring with 18 points, Kyle Lowry led in assists with 7 assists, and Pascal Siakam led by grabbing 9 rebounds. Game between the Toronto Raptors and the Atlanta Hawks played on Wed November 21st 2018. The Raptors beat the Hawks 124 to 108. Jonas Valanciunas led the scoring with 24 points, Kyle Lowry led in assists with 17 assists, and Jonas Valanciunas led by grabbing 13 rebounds. 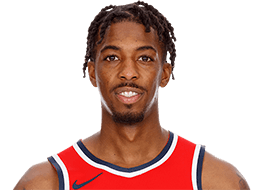 Game between the Washington Wizards and the Toronto Raptors played on Fri November 23rd 2018. The Raptors beat the Wizards 125 to 107. Kawhi Leonard led the scoring with 27 points, Kyle Lowry led in assists with 9 assists, and Kawhi Leonard led by grabbing 10 rebounds. Game between the Miami Heat and the Toronto Raptors played on Sun November 25th 2018. The Raptors beat the Heat 125 to 115. Kawhi Leonard led the scoring with 29 points, Kyle Lowry led in assists with 10 assists, and Kawhi Leonard led by grabbing 10 rebounds. Game between the Toronto Raptors and the Memphis Grizzlies played on Tue November 27th 2018. The Raptors beat the Grizzlies 122 to 114. Kyle Lowry led the scoring with 24 points, Kyle Lowry led in assists with 6 assists, and Kawhi Leonard led by grabbing 10 rebounds. Game between the Golden State Warriors and the Toronto Raptors played on Thu November 29th 2018. The Raptors beat the Warriors 131 to 128. Kawhi Leonard led the scoring with 37 points, Kyle Lowry led in assists with 12 assists, and Kawhi Leonard led by grabbing 8 rebounds. Game between the Toronto Raptors and the Cleveland Cavaliers played on Sat December 1st 2018. The Raptors beat the Cavaliers 106 to 95. Kawhi Leonard led the scoring with 34 points, Pascal Siakam led in assists with 5 assists, and Kawhi Leonard led by grabbing 9 rebounds. Game between the Denver Nuggets and the Toronto Raptors played on Mon December 3rd 2018. The Nuggets beat the Raptors 106 to 103. Kawhi Leonard led the scoring with 27 points, Kyle Lowry led in assists with 11 assists, and Jonas Valanciunas led by grabbing 10 rebounds. 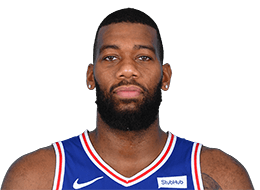 Game between the Philadelphia 76ers and the Toronto Raptors played on Wed December 5th 2018. The Raptors beat the 76ers 113 to 102. Kawhi Leonard led the scoring with 36 points, Pascal Siakam led in assists with 6 assists, and Kawhi Leonard led by grabbing 9 rebounds. Game between the Toronto Raptors and the Brooklyn Nets played on Fri December 7th 2018. The Nets beat the Raptors 106 to 105. Kawhi Leonard led the scoring with 32 points, Kyle Lowry led in assists with 11 assists, and Jonas Valanciunas led by grabbing 8 rebounds. Game between the Milwaukee Bucks and the Toronto Raptors played on Sun December 9th 2018. The Bucks beat the Raptors 104 to 99. Serge Ibaka led the scoring with 22 points, Kyle Lowry led in assists with 7 assists, and Kawhi Leonard led by grabbing 8 rebounds. Game between the Toronto Raptors and the LA Clippers played on Tue December 11th 2018. The Raptors beat the Clippers 123 to 99. Serge Ibaka led the scoring with 25 points, Fred VanVleet led in assists with 14 assists, and Serge Ibaka led by grabbing 9 rebounds. Game between the Toronto Raptors and the Golden State Warriors played on Wed December 12th 2018. The Raptors beat the Warriors 113 to 93. Kyle Lowry led the scoring with 23 points, Kyle Lowry led in assists with 12 assists, and Serge Ibaka led by grabbing 12 rebounds. Game between the Toronto Raptors and the Portland Trail Blazers played on Fri December 14th 2018. The Trail Blazers beat the Raptors 128 to 122. Kawhi Leonard led the scoring with 28 points, Fred VanVleet led in assists with 8 assists, and Danny Green led by grabbing 12 rebounds. Game between the Toronto Raptors and the Denver Nuggets played on Sun December 16th 2018. The Nuggets beat the Raptors 95 to 86. 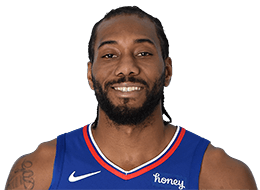 Kawhi Leonard led the scoring with 29 points, Kawhi Leonard led in assists with 4 assists, and Kawhi Leonard led by grabbing 14 rebounds. Game between the Indiana Pacers and the Toronto Raptors played on Wed December 19th 2018. The Raptors beat the Pacers 99 to 96. Kawhi Leonard led the scoring with 28 points, Kawhi Leonard led in assists with 6 assists, and Kawhi Leonard led by grabbing 10 rebounds. Game between the Cleveland Cavaliers and the Toronto Raptors played on Fri December 21st 2018. The Raptors beat the Cavaliers 126 to 110. Kawhi Leonard led the scoring with 37 points, Fred VanVleet led in assists with 8 assists, and Pascal Siakam led by grabbing 10 rebounds. Game between the Toronto Raptors and the Philadelphia 76ers played on Sat December 22nd 2018. 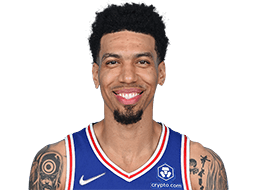 The 76ers beat the Raptors 126 to 101. Pascal Siakam led the scoring with 26 points, Kyle Lowry led in assists with 5 assists, and Greg Monroe led by grabbing 8 rebounds. Game between the Toronto Raptors and the Miami Heat played on Wed December 26th 2018. The Raptors beat the Heat 106 to 104. Kawhi Leonard led the scoring with 30 points, Serge Ibaka led in assists with 4 assists, and Pascal Siakam led by grabbing 9 rebounds. Game between the Toronto Raptors and the Orlando Magic played on Fri December 28th 2018. The Magic beat the Raptors 116 to 87. Kawhi Leonard led the scoring with 21 points, Delon Wright led in assists with 6 assists, and Serge Ibaka led by grabbing 8 rebounds. Game between the Chicago Bulls and the Toronto Raptors played on Sun December 30th 2018. The Raptors beat the Bulls 95 to 89. Kawhi Leonard led the scoring with 27 points, Fred VanVleet led in assists with 7 assists, and Pascal Siakam led by grabbing 12 rebounds. Game between the Utah Jazz and the Toronto Raptors played on Tue January 1st 2019. The Raptors beat the Jazz 122 to 116. Kawhi Leonard led the scoring with 45 points, Fred VanVleet led in assists with 5 assists, and Pascal Siakam led by grabbing 10 rebounds. Game between the Toronto Raptors and the San Antonio Spurs played on Thu January 3rd 2019. The Spurs beat the Raptors 125 to 107. Kawhi Leonard led the scoring with 21 points, Pascal Siakam led in assists with 7 assists, and Pascal Siakam led by grabbing 6 rebounds. Game between the Toronto Raptors and the Milwaukee Bucks played on Sat January 5th 2019. The Raptors beat the Bucks 123 to 116. Kawhi Leonard led the scoring with 30 points, Fred VanVleet led in assists with 8 assists, and Serge Ibaka led by grabbing 9 rebounds. Game between the Indiana Pacers and the Toronto Raptors played on Sun January 6th 2019. The Raptors beat the Pacers 121 to 105. Norman Powell led the scoring with 23 points, Fred VanVleet led in assists with 8 assists, and Pascal Siakam led by grabbing 10 rebounds. Game between the Atlanta Hawks and the Toronto Raptors played on Tue January 8th 2019. The Raptors beat the Hawks 104 to 101. Kawhi Leonard led the scoring with 31 points, Kawhi Leonard led in assists with 6 assists, and Pascal Siakam led by grabbing 10 rebounds. Game between the Brooklyn Nets and the Toronto Raptors played on Fri January 11th 2019. The Raptors beat the Nets 122 to 105. Kawhi Leonard led the scoring with 20 points, Kyle Lowry led in assists with 8 assists, and Kawhi Leonard led by grabbing 11 rebounds. Game between the Toronto Raptors and the Washington Wizards played on Sun January 13th 2019. The Raptors beat the Wizards 140 to 138. Kawhi Leonard led the scoring with 41 points, Kyle Lowry led in assists with 11 assists, and Pascal Siakam led by grabbing 19 rebounds. Game between the Toronto Raptors and the Boston Celtics played on Wed January 16th 2019. The Celtics beat the Raptors 117 to 108. Kawhi Leonard led the scoring with 33 points, Pascal Siakam led in assists with 7 assists, and Serge Ibaka led by grabbing 10 rebounds. Game between the Phoenix Suns and the Toronto Raptors played on Thu January 17th 2019. The Raptors beat the Suns 111 to 109. Serge Ibaka led the scoring with 22 points, Kyle Lowry led in assists with 8 assists, and Pascal Siakam led by grabbing 12 rebounds. Game between the Memphis Grizzlies and the Toronto Raptors played on Sat January 19th 2019. The Raptors beat the Grizzlies 119 to 90. Danny Green led the scoring with 24 points, Fred VanVleet led in assists with 7 assists, and Pascal Siakam led by grabbing 8 rebounds. Game between the Sacramento Kings and the Toronto Raptors played on Tue January 22nd 2019. The Raptors beat the Kings 120 to 105. Fred VanVleet led the scoring with 19 points, Kyle Lowry led in assists with 9 assists, and Serge Ibaka led by grabbing 10 rebounds. Game between the Toronto Raptors and the Indiana Pacers played on Wed January 23rd 2019. The Pacers beat the Raptors 110 to 106. 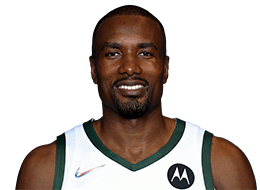 Serge Ibaka led the scoring with 23 points, Kyle Lowry led in assists with 7 assists, and Serge Ibaka led by grabbing 11 rebounds. Game between the Toronto Raptors and the Houston Rockets played on Fri January 25th 2019. The Rockets beat the Raptors 121 to 119. Kawhi Leonard led the scoring with 32 points, Kyle Lowry led in assists with 11 assists, and Serge Ibaka led by grabbing 14 rebounds. Game between the Toronto Raptors and the Dallas Mavericks played on Sun January 27th 2019. The Raptors beat the Mavericks 123 to 120. Kawhi Leonard led the scoring with 33 points, Kyle Lowry led in assists with 9 assists, and Serge Ibaka led by grabbing 11 rebounds. Game between the Milwaukee Bucks and the Toronto Raptors played on Thu January 31st 2019. The Bucks beat the Raptors 105 to 92. 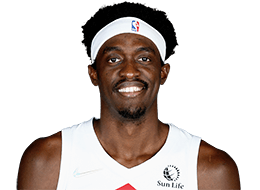 Pascal Siakam led the scoring with 28 points, Pascal Siakam led in assists with 3 assists, and Serge Ibaka led by grabbing 10 rebounds. Game between the LA Clippers and the Toronto Raptors played on Sun February 3rd 2019. The Raptors beat the Clippers 121 to 103. Kawhi Leonard led the scoring with 18 points, Fred VanVleet led in assists with 7 assists, and Serge Ibaka led by grabbing 12 rebounds. Game between the Toronto Raptors and the Philadelphia 76ers played on Tue February 5th 2019. The Raptors beat the 76ers 119 to 107. Kawhi Leonard led the scoring with 24 points, Kyle Lowry led in assists with 6 assists, and Serge Ibaka led by grabbing 10 rebounds. Game between the Toronto Raptors and the Atlanta Hawks played on Thu February 7th 2019. The Raptors beat the Hawks 119 to 101. Pascal Siakam led the scoring with 33 points, Kyle Lowry led in assists with 13 assists, and Pascal Siakam led by grabbing 14 rebounds. Game between the Toronto Raptors and the New York Knicks played on Sat February 9th 2019. The Raptors beat the Knicks 104 to 99. Kyle Lowry led the scoring with 22 points, Kawhi Leonard led in assists with 6 assists, and Serge Ibaka led by grabbing 13 rebounds. Game between the Brooklyn Nets and the Toronto Raptors played on Mon February 11th 2019. The Raptors beat the Nets 127 to 125. Kawhi Leonard led the scoring with 30 points, Kawhi Leonard led in assists with 8 assists, and Serge Ibaka led by grabbing 12 rebounds. Game between the Washington Wizards and the Toronto Raptors played on Wed February 13th 2019. The Raptors beat the Wizards 129 to 120. Pascal Siakam led the scoring with 44 points, Kyle Lowry led in assists with 13 assists, and Serge Ibaka led by grabbing 13 rebounds. Game between the San Antonio Spurs and the Toronto Raptors played on Fri February 22nd 2019. The Raptors beat the Spurs 120 to 117. Kawhi Leonard led the scoring with 25 points, Pascal Siakam led in assists with 6 assists, and Serge Ibaka led by grabbing 15 rebounds. Game between the Orlando Magic and the Toronto Raptors played on Sun February 24th 2019. The Magic beat the Raptors 113 to 98. 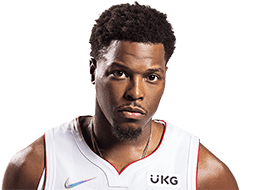 Kyle Lowry led the scoring with 19 points, Kyle Lowry led in assists with 10 assists, and Pascal Siakam led by grabbing 11 rebounds. Game between the Boston Celtics and the Toronto Raptors played on Tue February 26th 2019. The Raptors beat the Celtics 118 to 95. Pascal Siakam led the scoring with 25 points, Kyle Lowry led in assists with 11 assists, and Pascal Siakam led by grabbing 8 rebounds. Game between the Portland Trail Blazers and the Toronto Raptors played on Fri March 1st 2019. The Raptors beat the Trail Blazers 119 to 117. Kawhi Leonard led the scoring with 38 points, Kyle Lowry led in assists with 10 assists, and Marc Gasol led by grabbing 8 rebounds. Game between the Toronto Raptors and the Detroit Pistons played on Sun March 3rd 2019. The Pistons beat the Raptors 112 to 107. Kyle Lowry led the scoring with 35 points, Pascal Siakam led in assists with 5 assists, and Serge Ibaka led by grabbing 11 rebounds. Game between the Houston Rockets and the Toronto Raptors played on Tue March 5th 2019. The Rockets beat the Raptors 107 to 95. Kawhi Leonard led the scoring with 26 points, Kyle Lowry led in assists with 6 assists, and Serge Ibaka led by grabbing 15 rebounds. Game between the Toronto Raptors and the New Orleans Pelicans played on Fri March 8th 2019. The Raptors beat the Pelicans 127 to 104. Kawhi Leonard led the scoring with 31 points, Kyle Lowry led in assists with 12 assists, and Kyle Lowry led by grabbing 11 rebounds. Game between the Toronto Raptors and the Miami Heat played on Sun March 10th 2019. The Raptors beat the Heat 125 to 104. Kyle Lowry led the scoring with 24 points, Kyle Lowry led in assists with 10 assists, and Serge Ibaka led by grabbing 8 rebounds. Game between the Toronto Raptors and the Cleveland Cavaliers played on Mon March 11th 2019. The Cavaliers beat the Raptors 126 to 101. Kawhi Leonard led the scoring with 25 points, Kyle Lowry led in assists with 6 assists, and Kawhi Leonard led by grabbing 9 rebounds. 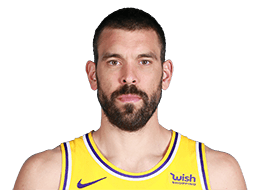 Game between the Los Angeles Lakers and the Toronto Raptors played on Thu March 14th 2019. The Raptors beat the Lakers 111 to 98. Kawhi Leonard led the scoring with 25 points, Pascal Siakam led in assists with 6 assists, and Kawhi Leonard led by grabbing 8 rebounds. Game between the Toronto Raptors and the Detroit Pistons played on Sun March 17th 2019. The Pistons beat the Raptors 110 to 107. Kawhi Leonard led the scoring with 33 points, Marc Gasol led in assists with 8 assists, and Marc Gasol led by grabbing 11 rebounds. Game between the New York Knicks and the Toronto Raptors played on Mon March 18th 2019. The Raptors beat the Knicks 128 to 92. Jeremy Lin led the scoring with 20 points, Fred VanVleet led in assists with 12 assists, and Marc Gasol led by grabbing 11 rebounds. Game between the Toronto Raptors and the Oklahoma City Thunder played on Wed March 20th 2019. The Raptors beat the Thunder 123 to 114. Pascal Siakam led the scoring with 33 points, Kawhi Leonard led in assists with 6 assists, and Pascal Siakam led by grabbing 13 rebounds. Game between the Oklahoma City Thunder and the Toronto Raptors played on Fri March 22nd 2019. The Thunder beat the Raptors 116 to 109. 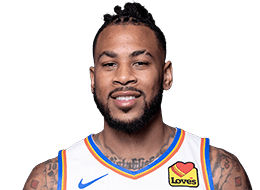 Kawhi Leonard led the scoring with 37 points, Marc Gasol led in assists with 6 assists, and Norman Powell led by grabbing 11 rebounds. Game between the Charlotte Hornets and the Toronto Raptors played on Sun March 24th 2019. The Hornets beat the Raptors 115 to 114. Kawhi Leonard led the scoring with 28 points, Marc Gasol led in assists with 6 assists, and Kawhi Leonard led by grabbing 9 rebounds. Game between the Chicago Bulls and the Toronto Raptors played on Tue March 26th 2019. The Raptors beat the Bulls 112 to 103. Norman Powell led the scoring with 20 points, Kyle Lowry led in assists with 6 assists, and Serge Ibaka led by grabbing 8 rebounds. Game between the Toronto Raptors and the New York Knicks played on Thu March 28th 2019. The Raptors beat the Knicks 117 to 92. Pascal Siakam led the scoring with 31 points, Fred VanVleet led in assists with 8 assists, and Serge Ibaka led by grabbing 10 rebounds. Game between the Toronto Raptors and the Chicago Bulls played on Sat March 30th 2019. The Raptors beat the Bulls 124 to 101. Serge Ibaka led the scoring with 23 points, Kyle Lowry led in assists with 8 assists, and Serge Ibaka led by grabbing 12 rebounds. Game between the Orlando Magic and the Toronto Raptors played on Mon April 1st 2019. The Raptors beat the Magic 121 to 109. Danny Green led the scoring with 29 points, Kyle Lowry led in assists with 7 assists, and Kawhi Leonard led by grabbing 7 rebounds. Game between the Toronto Raptors and the Brooklyn Nets played on Wed April 3rd 2019. The Raptors beat the Nets 115 to 105. Pascal Siakam led the scoring with 28 points, Marc Gasol led in assists with 6 assists, and Serge Ibaka led by grabbing 12 rebounds. Game between the Toronto Raptors and the Charlotte Hornets played on Fri April 5th 2019. The Hornets beat the Raptors 113 to 111. Kawhi Leonard led the scoring with 29 points, Kyle Lowry led in assists with 11 assists, and Serge Ibaka led by grabbing 12 rebounds. Game between the Miami Heat and the Toronto Raptors played on Sun April 7th 2019. The Raptors beat the Heat 117 to 109. Pascal Siakam led the scoring with 23 points, Marc Gasol led in assists with 7 assists, and Pascal Siakam led by grabbing 10 rebounds. Game between the Toronto Raptors and the Minnesota Timberwolves played on Tue April 9th 2019. The Raptors beat the Timberwolves 120 to 100. 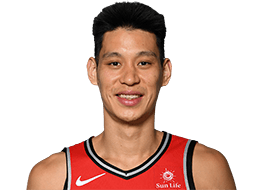 Kawhi Leonard led the scoring with 20 points, Jeremy Lin led in assists with 5 assists, and Chris Boucher led by grabbing 13 rebounds. Game between the Orlando Magic and the Toronto Raptors played on Sat April 13th 2019. The Magic beat the Raptors 104 to 101. Kawhi Leonard led the scoring with 25 points, Kyle Lowry led in assists with 8 assists, and Pascal Siakam led by grabbing 9 rebounds. Game between the Orlando Magic and the Toronto Raptors played on Tue April 16th 2019. The Raptors beat the Magic 111 to 82. Kawhi Leonard led the scoring with 37 points, Kyle Lowry led in assists with 7 assists, and Pascal Siakam led by grabbing 10 rebounds. Game between the Toronto Raptors and the Orlando Magic on Fri April 19th 2019 at 7:00pm EDT at Amway Center Orlando, FL. Watch the game on SN1, ESPN. 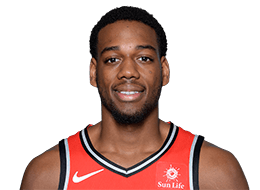 Game between the Toronto Raptors and the Orlando Magic on Sun April 21st 2019 at 7:00pm EDT at Amway Center Orlando, FL. Watch the game on TSNN, TNT. Game between the Orlando Magic and the Toronto Raptors on Tue April 23rd 2019 at 7:00pm EDT at Scotiabank Arena Toronto, ON. Watch the game on TSNN, TNT. Game between the Toronto Raptors and the Orlando Magic on Thu April 25th 2019 at 12:00am EDT at Amway Center Orlando, FL. Game between the Orlando Magic and the Toronto Raptors on Sat April 27th 2019 at 12:00am EDT at Scotiabank Arena Toronto, ON.